* Lee Scheele’s online Notebook: many resources, links, notes on Tai Chi Chuan. * Zhong Ding: all styles of Tai Chi Chuan, predominantly Cheng Man Ching. of Tai Chi Chuan as expressed in the Tai Chi Classics but with a modern approach. 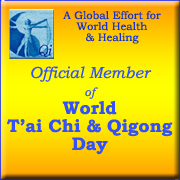 * The Tai Chi Site: links, articles, messageboard etc. * Hao Taijiquan Association: lineage of Hao Shao Ru via Liu Ji Shun. * Yi Chuan Kung Fu: website for Master Cheuk Fung. link collection should help you to orient yourself in the international cyber space.